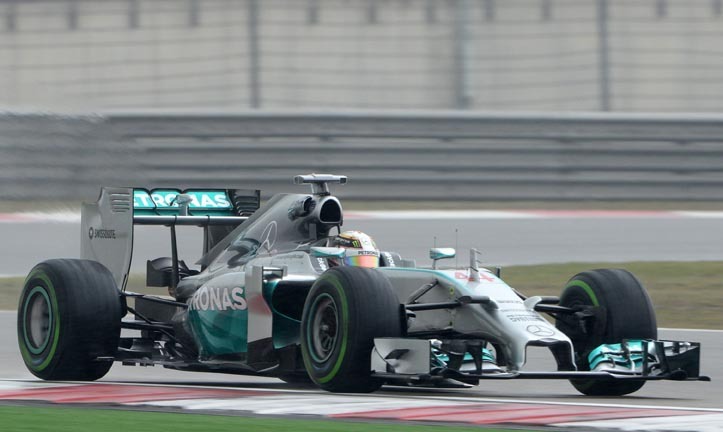 Formula One has to rate as one of the most irrationally governed sports on the planet. For months we have heard stories of teams facing financial ruin – and at the end of last year this prediction was becoming a reality. Marussia failed to reach the end of the season and Caterham only made the Abu Dhabi finale through public donations. Rumours were Sauber, Lotus and Force India were the next to face possible closure due to lack of funding. Marussia and Caterham, both with different names at that time – Marussia as Virgin and Caterham as Lotus Racing – entered F1 with a proposed cost cap on the horizon that would assist smaller teams. Sadly the major teams decided FIA president Jean Todt and his predecessor Max Mosley’s idea of a cost cap was not for them and continued to spend at an alarming rate. Annual budgets soared – a large percentage due to the new regulations for the 2014 season. It was inevitable the minnows would suffer. The cost of the new power units, only available from three of the big players, was much higher than in previous years. Their financial planning was turned upside down as the cost of running a team reached stratospheric figures. Without the proposed cost cap the smaller teams have been fighting a losing battle. Falling television audiences and fewer sponsors made it difficult to generate revenue. Add to this the nondemocratic distribution of funds within F1 and it’s a recipe for disaster. were unable to resolve the financial issues. That was an unfair comment when those teams had entered in the belief cost caps would be introduced. Recently both Caterham and Marussia were placed under liquidation. So it was surprising when it was reported last week Marussia had found financial backing and would be out of liquidation by February 19 and back on the grid this year. This was exciting news – 10 teams for the 2015 season, but apparently not everyone was enthusiastic. Despite the fact that both teams last year were granted permission to run their 2014 cars in 2015, members of the Strategy Group changed their minds and have refused to allow Marussia’s entry. The Strategy Group consists of the FIA, Bernie Ecclestone and six teams – five permanent members being Mercedes Benz, Red Bull, Ferrari, Williams and McLaren plus the sixth, Force India, due to their finishing position in the 2014 championship. It is the very same outfit that vociferously fought for the smaller teams’ rights last year. So it is interesting the initial bar to Marussia’s return was from Force India. During a recent press interview Bob Fernley, deputy team principal of Force India, was reported as saying: “The Strategy Group was faced with an application for Marussia’s 2014 cars to compete in the 2015 championship. During the meeting it emerged there were compliance issues and the application lacked substance. One must accept these were grounds for the Group’s refusal, but it is the last paragraph I find interesting. I am sure all those “remaining independent teams” – which includes Fernley’s – will be very grateful for this. But one has to wonder how this issue was initially barred by a team that has constantly complained about the injustices of the system, are reportedly constantly having financial problems and failed to arrive for the first test session in Jerez. The team announced they would skip this, but will be at the first Barcelona test. Will that be with the new car? No, I fear not. Force India have reported the latest offering will not be ready until the second series of tests in Barcelona a week later, so they will be running the 2014 car. Now that is food for thought. For once I agree with Ecclestone. A share of the £3.5 million (R62.4 million) prize money from Jules Bianchi’s Monaco finish would be welcomed by some, including Marussia. That money could have eliminated the trade creditor’s debt of £3.14 million, but as they did not complete the season Ecclestone decided they would not receive it. I still have difficulty understanding how one forfeits a prize already won. So have we heard the end of Marussia F1? Yes and no. Manor, the team who actually hold the Marussia entry, are forging ahead to meet the requirements of the Strategy Group and are convinced they will be on the grid with an updated 2014 car and will soon follow that with the new car. Let’s hope it happens and those in the elite Strategy Group rethink their decision. A positive outcome would demonstrate a true interest in the sport, instead of their current image of pure self-interest.